At the Retreat a few weeks ago... 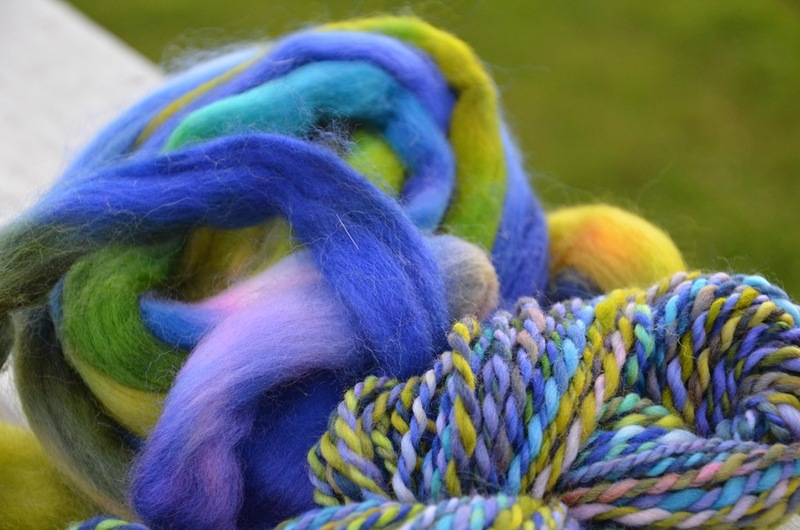 I decided to just let loose and spin a braid of fiber free-form - aka just let the darn thing become whatever it wanted to become. 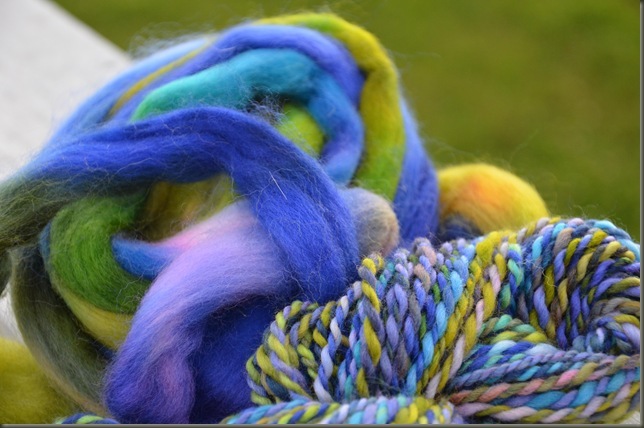 I bought a braid of South African Fine Wool dyed by Waterloo Wools in a very bright and enthusiastic colorway and just tore it into 4 pieces and spun it up without thinking too hard about it. 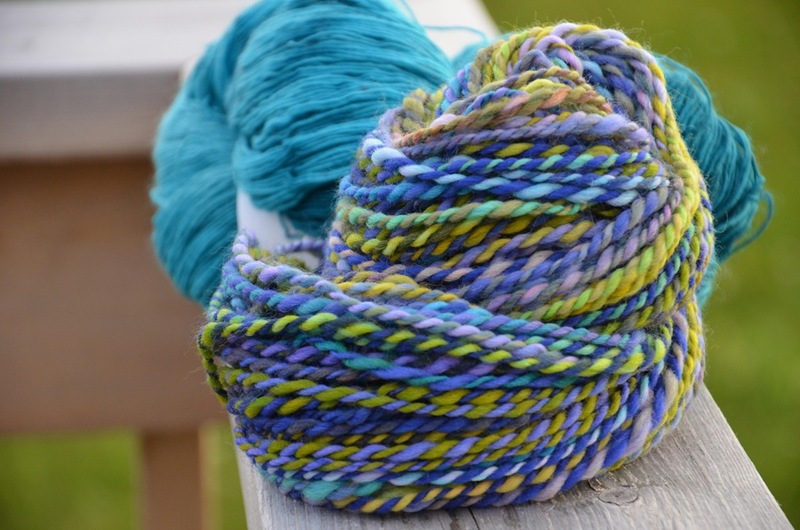 The result was a nice bouncy, light and not over spun, 2-ply yarn in about a Chunky weight. I didn't worry about where the colors lined up, and I didn't use a gauge or measure to monitor my singles. I tried to divide the fiber in approximately half, so I would have two similar balls of yarn to make something "paired" like mittens. 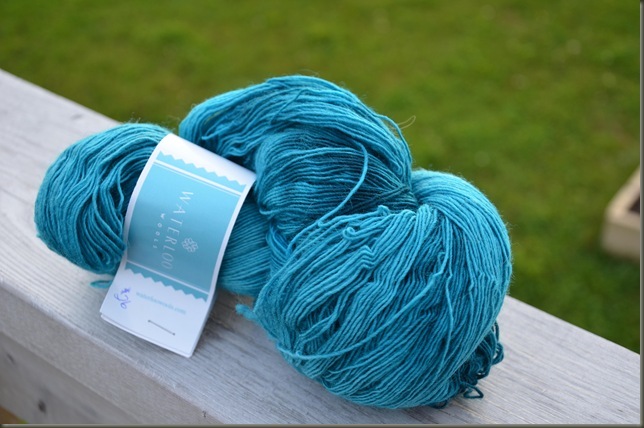 Here is one half of the yarn posing with a skein of lace weight that just happened to match! 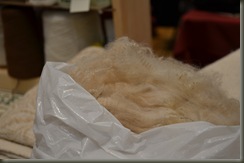 I really liked the texture of this breed of wool - soft like Merino, but really bouncy and fluffy. Sproingy! 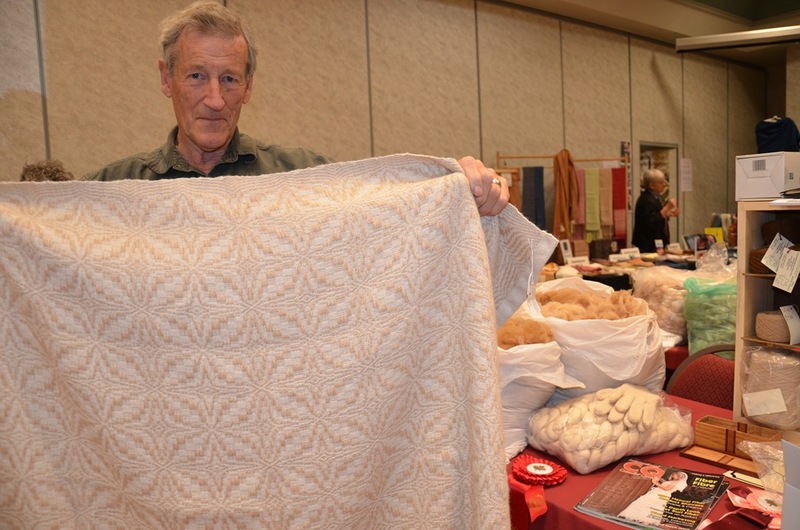 As for a pattern... I decided to just wing it. 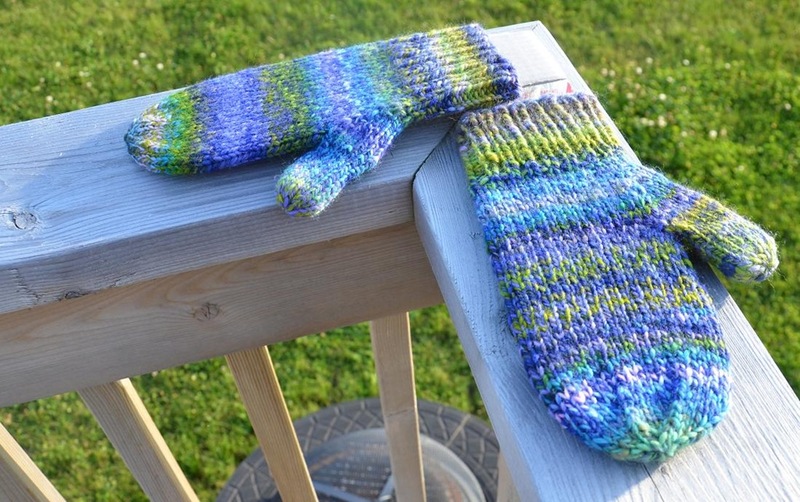 I've knit so many pairs of mittens in the last 15 years... it's not even funny. 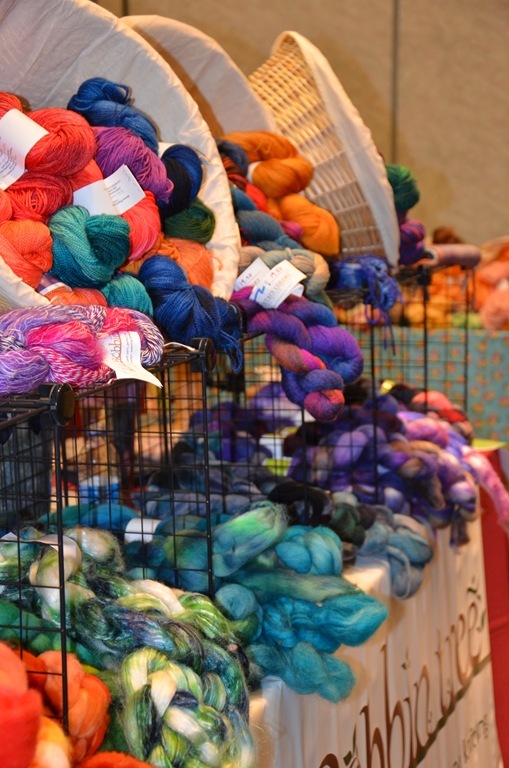 I took a guess as to how many stitches might make sense, and was off without a plan. 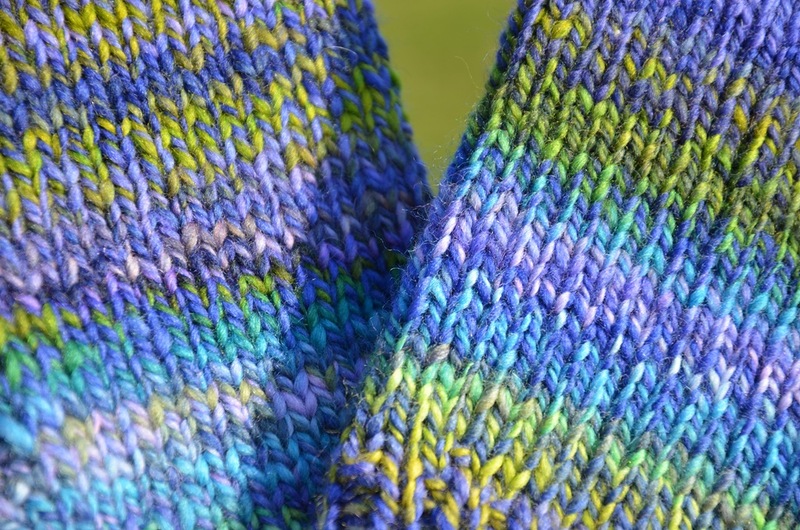 In fact, I ended up knitting to the tip of the first mitten, decided that I should have done a longer cuff, and raveled back to the cuff and added half a dozen rows. 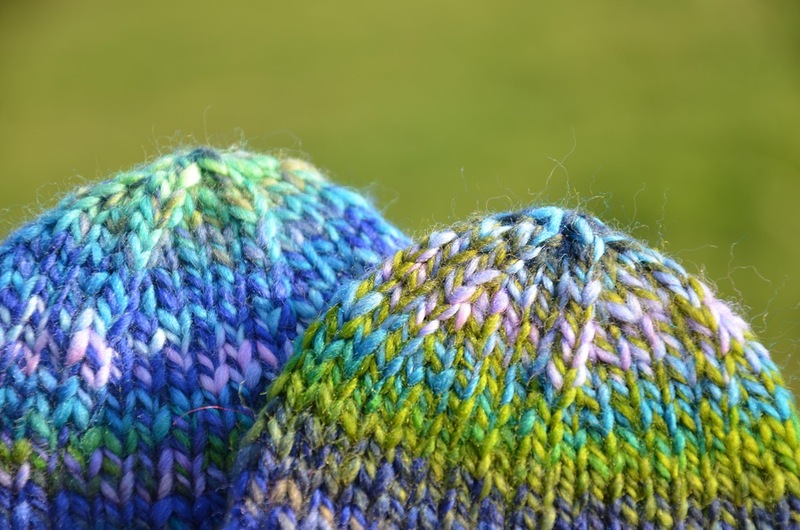 One nice thing about knitting with chunky fat yarn on reasonably large needles - the project knits up fast. 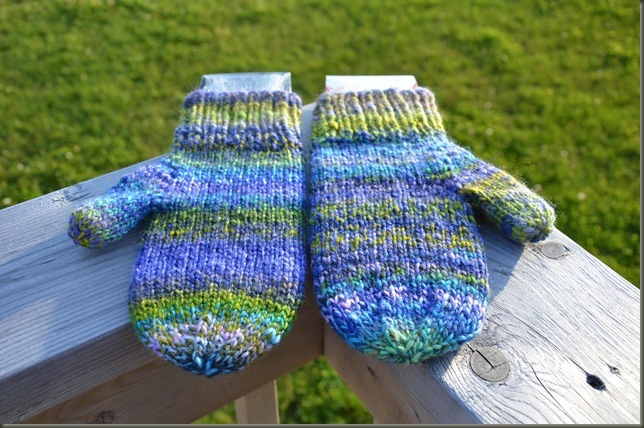 I had completed both mitts (including the false start, ravel and redo) in a weekend. The mittens did end up looking similar when finished, but still with a bit of variation in the color striping and placement. 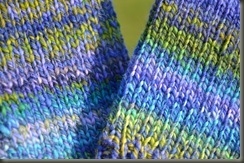 I liked the texture and variation though... gives the effect of "matching" but not "identical" mittens. 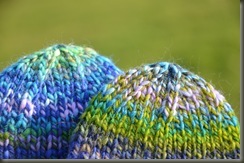 More like a set of Fraternal Twins :) If you like yarn and knitting close-ups... remember to click the photo thumbnails and you'll get a nice large version of the photo... thanks to the wonderful code-monkey-husband! 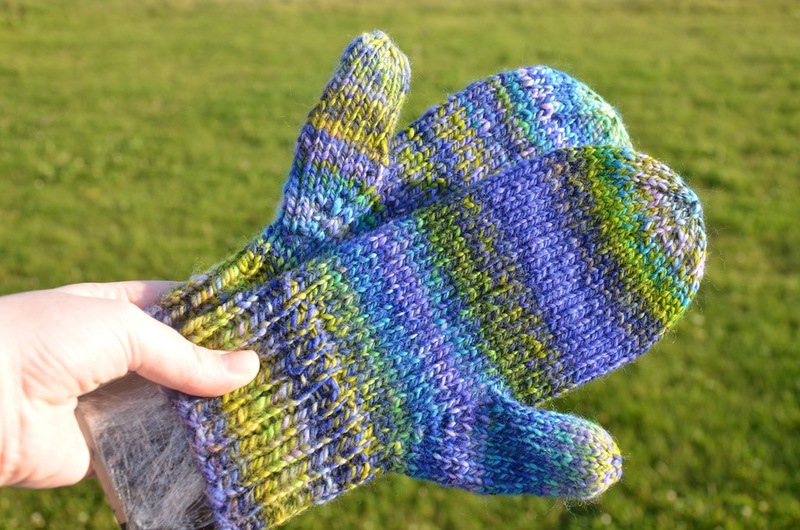 I was thinking that I might like to keep these mittens myself... but lately it seems that everytime I post something new to the blog or Facebook... somebody wants to buy them! I think if the right person came along, I'd let them go, maybe. 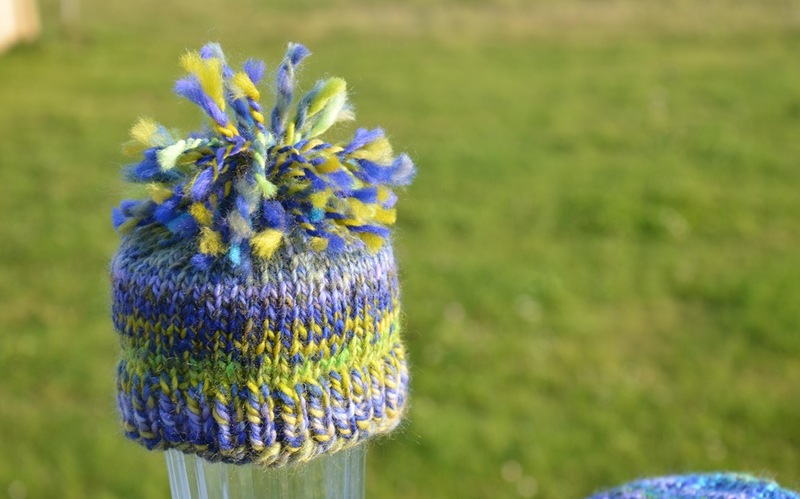 I finished the little hat and then added a VERY LARGE pompom :) I had a few scrap odds and ends from weaving in the tails on the mittens, and I didn't want to let ANY of this great stuff go to waste. 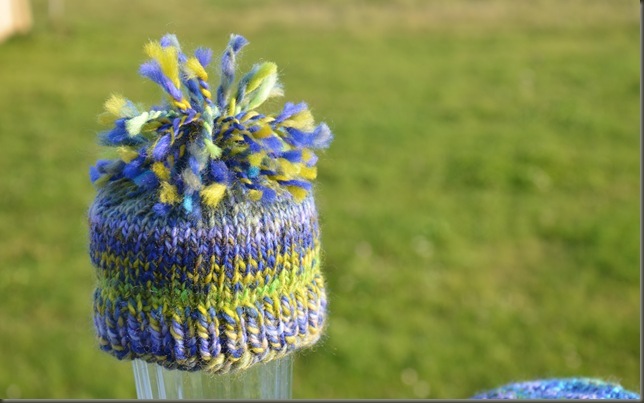 I basically just tossed the ends (2 - 3 inch pieces) in a pile, lashed them together into a non-fussy pompom and stitched it to the top of the little bright toque. Maybe it isn't very practical... but I love it to pieces. Maybe (child willing) it will fit and be appropriate for photos or something? 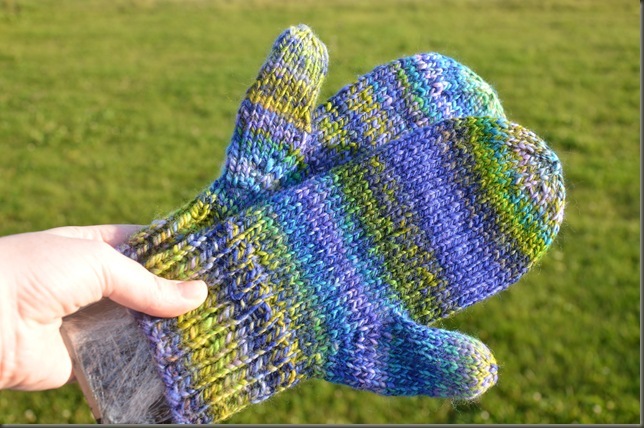 I'm not sure if you noticed my really-fancy-hi-tech Mitten Blockers?! They're actually pieces of cardboard (2 layers of corrugated stuff from the box some electronic thing came in) that have been wrapped several times with plain old kitchen plastic wrap, and then taped haphazardly where the edges of the plastic meet. 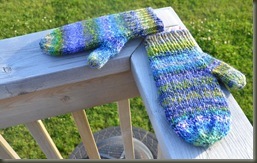 I would like to have fancy, beautiful, durable wooden ones someday (like my Norwegian Mitten Blockers made by Roger! ), but this was all I had to work with at one point... so I threw them together and they've been sturdy and trusty helpers for several years now. They don't look all that pretty - but they get the job done! 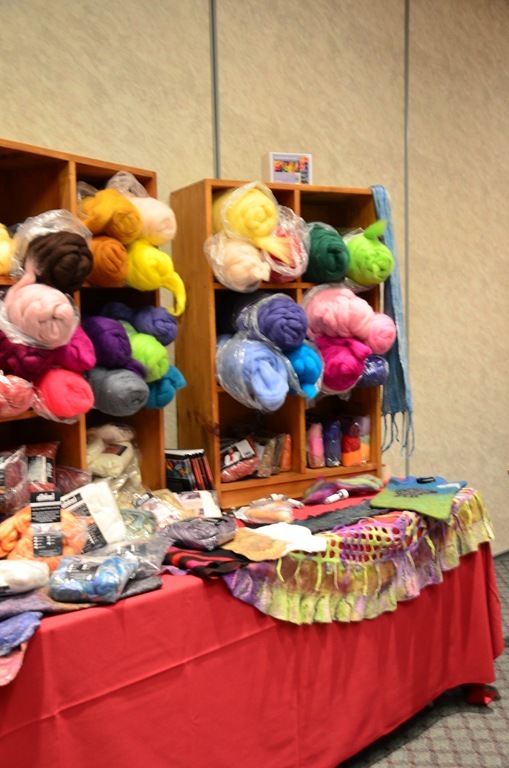 Maritime Handspinners' Retreat - the Vendors! I've been a bit slack with my blogging since I got home from the Retreat... 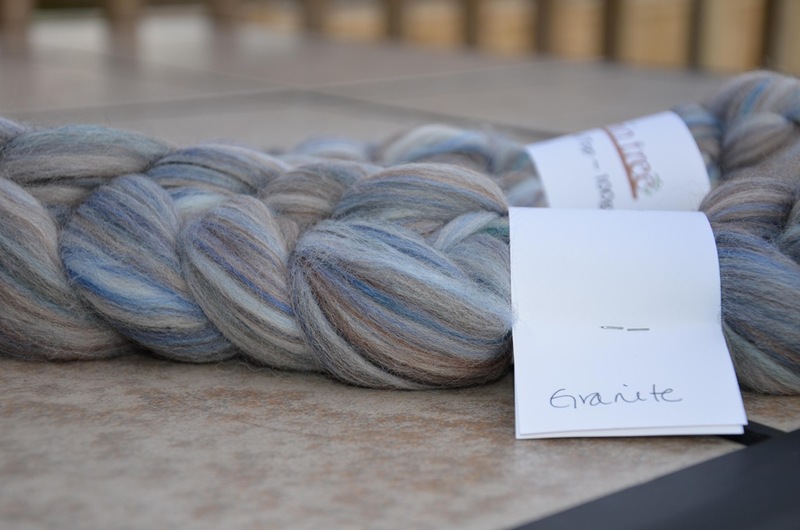 I've been preoccupied with my purchases, and required 8-months-pregnant naps! 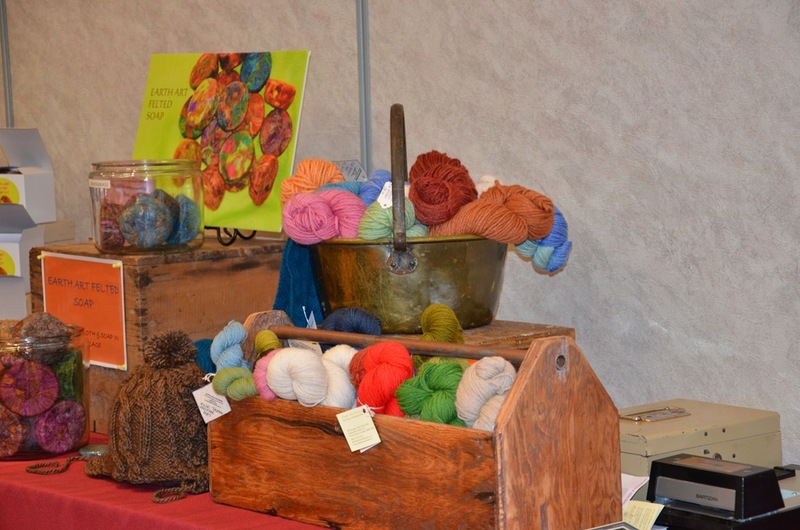 Today I'd like to share a bunch of photos from the vendors area.... 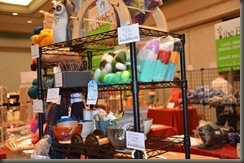 It was a great experience to walk around and chat with the vendors and fondle admire the wares. 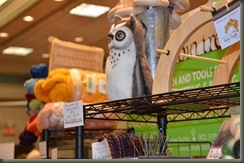 When else can you go shopping and be encouraged to pick up everything and touch it? Buying fiber is a very tactile experience for me. I need to feel what the fiber is like to know what I can do with it... which is difficult because I often buy wool online for lack of local stores with such goodies. I'd be surprised if anyone would look at you funny if you rolled around in a pile of fiber on the floor in a room like that! Very freeing experience. 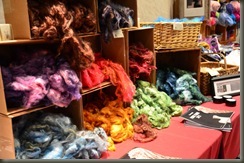 The Bobbin Tree - many wonderful wooly treats... complete with experienced wool-pusher and enthusiast Janet! 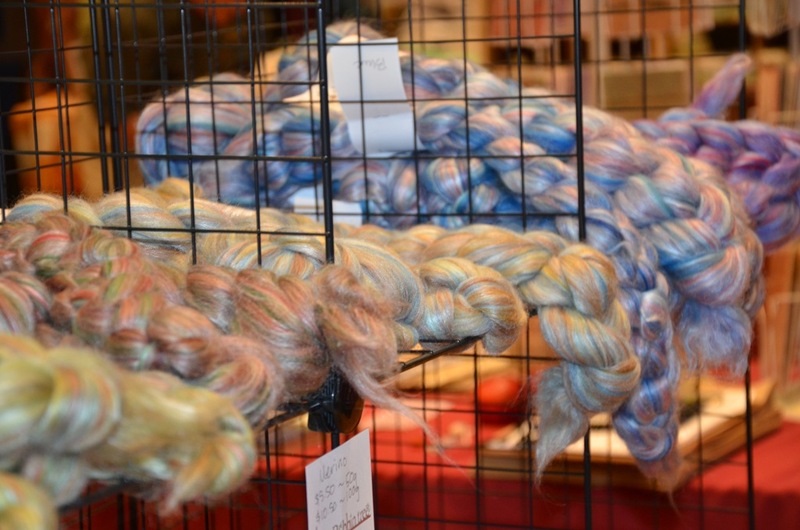 (whose hair matched some of her fiber perfectly... just sayin *wink*) I succumbed to the pitfalls of the booth and ended up with yarn, combed merino top, and a few other goodies too! 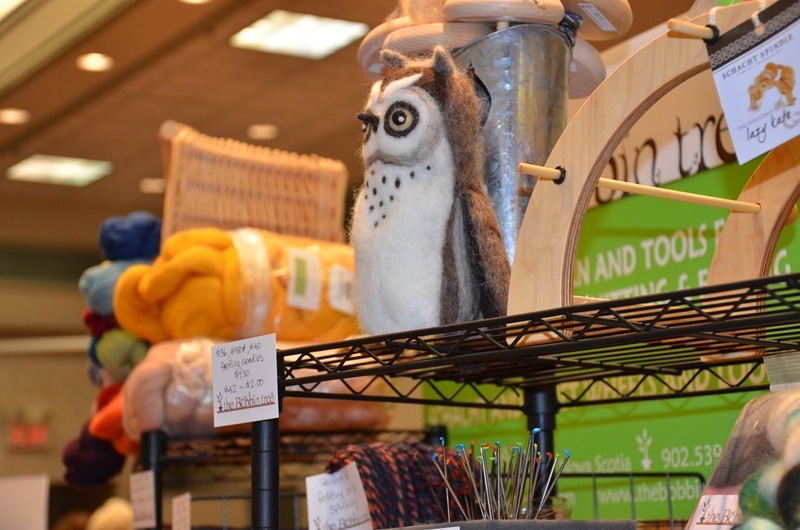 Also: Jobo's prize for the best booth mascot goes to Orville - the Bobbin Tree Owl! 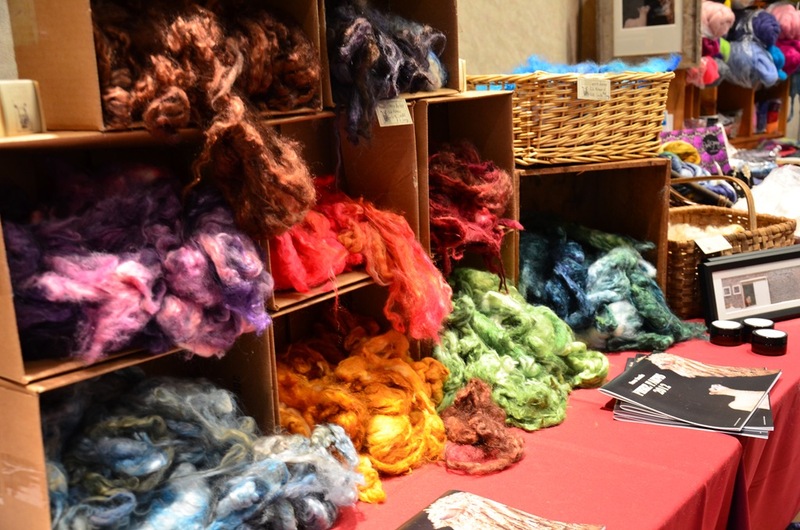 Gaspereau Valley Fibres - our wonderful hostesses for the weekend... and their piles of dyed locks, tops, books, etc. 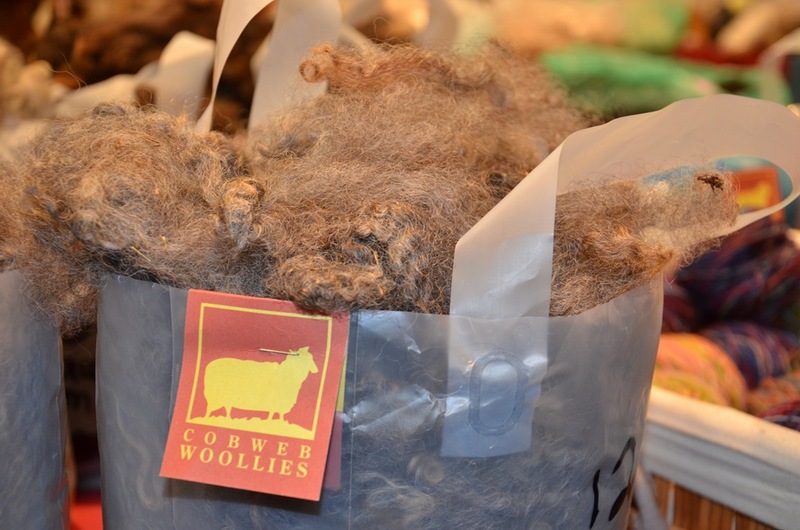 There were many people walking around with large brown paper gift bags full of these scrumptious locks! The service was great too! Cobweb Woolies - There were many many bags of wooly treasures at this table... it was like a sea of them! 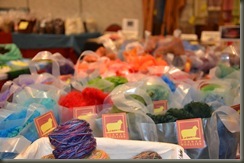 Delia had bags of both washed and unwashed natural wool locks in every color under the sun! 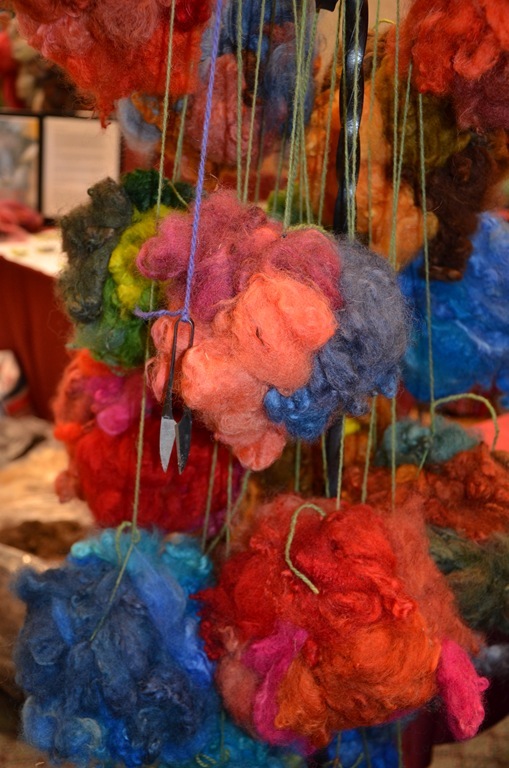 Wooly Balls made a comeback - basically dyed beautiful locks wrapped into balls with elastic bands hanging on a tree... forget holiday ornaments, you can decorate my Christmas tree with these!? 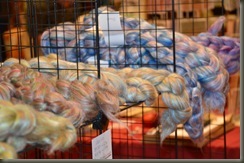 I bought a bag of creamy white washed Romney locks (8 oz) to play with, and it's springy and wonderful! 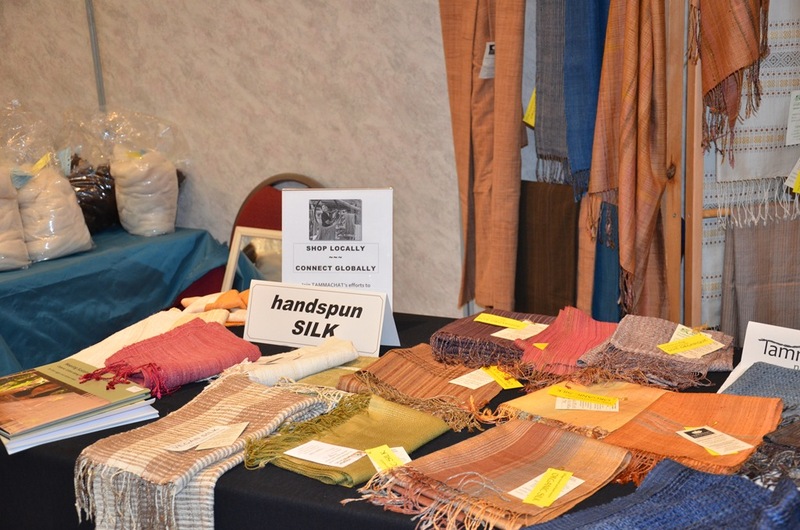 Handspun Silks - luscious, wonderful, handspun reeled and spun silks by women in developping countries! 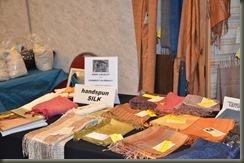 I couldn't believe the beautiful colors of the silks, dyed with natural products and locally sourced dyes. 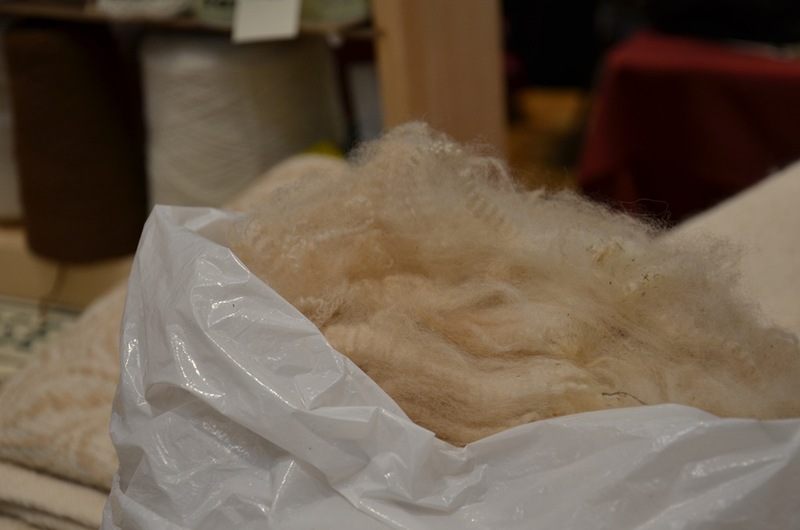 One particular shining beige brown was dyed with coconut husks, and just had such a warm lovely glow. 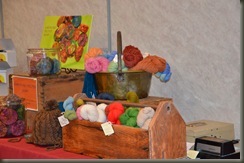 The second photo with the felted soaps, brown hat, and yarns... 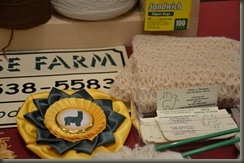 I'm sorry I can't remember the name of the vendor... but the products were really neat! 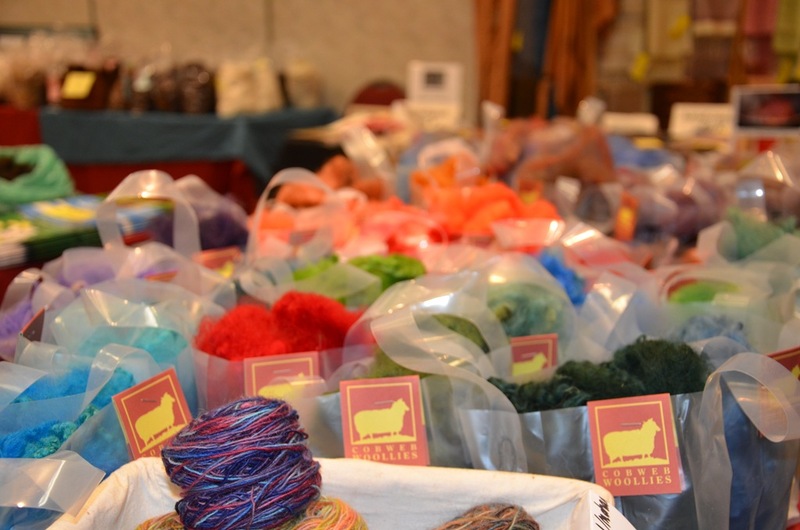 I almost bought one of the felted soap kits... but I feared it would be to nice to use, and would languish in the bathroom forever! 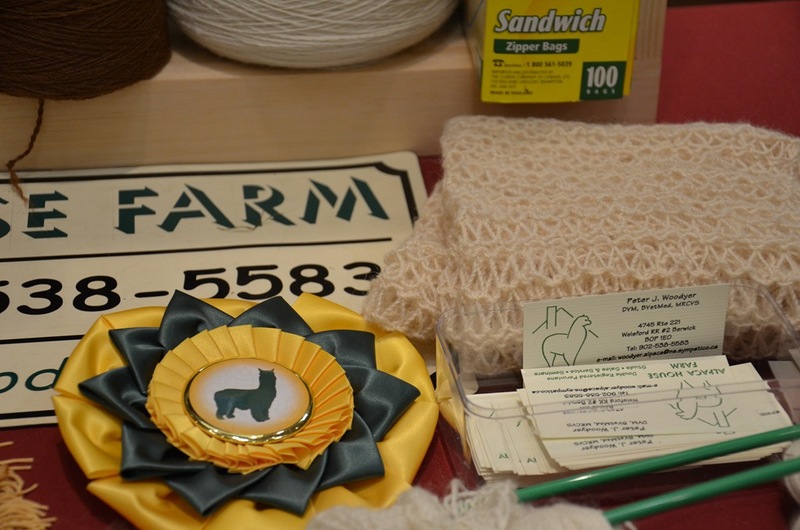 Alpaca House Farm - I had a very interesting chat with a gentleman alpaca herder (and vintage motorcycle enthusiast) about farming, fiber production and processing, and alpaca yarn and blankets in general! The fleeces were lovely, as evidenced by the prize ribbons, and this fellow's woven blankets were out of this world! 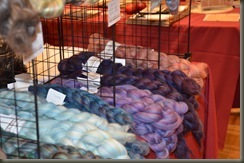 I loved the geometric patterns in the two colored weave... priceless! 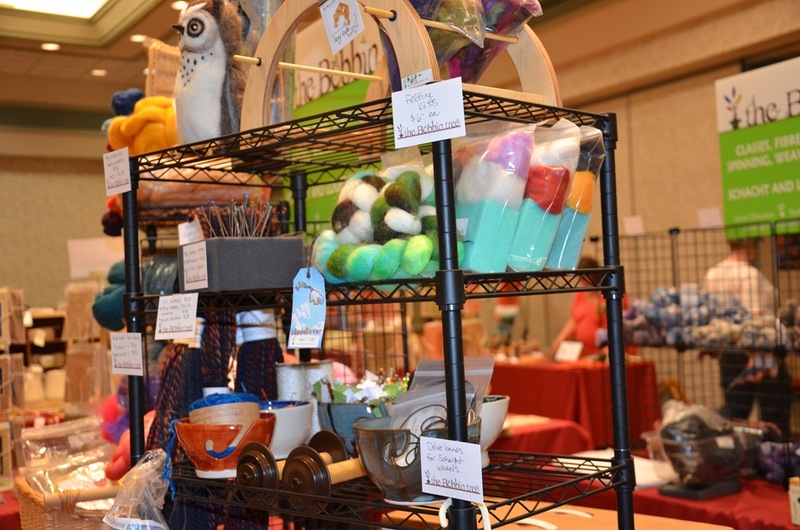 I very much enjoyed all of the vendors and tables, but these were the only ones I managed to photograph between the petting of the yarn :) All in all - a fantastic marketplace full of enthusiastic and helpful vendors and fiber artists!